Take this medication by mouth as directed by your doctor, usually 2 to 3 times a day with or without food. Dosage is based on your medical condition, kidney function, and response to treatment. Tell your doctor right away if you have any unlikely but serious side effects, including: blurred vision, unusual bleeding/bruising, unsteadiness, confusion, muscle pain/tenderness/weakness (especially if you are tired or have a fever), swelling of hands/legs/feet, signs of kidney problems (such as change in the amount of urine). List Lyrica side effects by likelihood and severity. 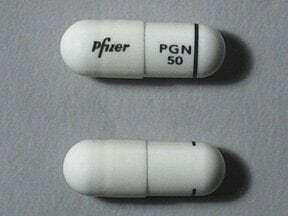 This medicine is a white, oblong, capsule imprinted with "Pfizer" and "PGN 50". 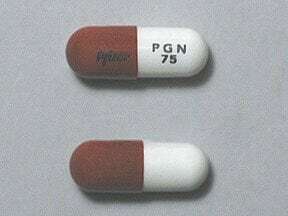 This medicine is a orange white, oblong, capsule imprinted with "Pfizer" and "PGN 75". 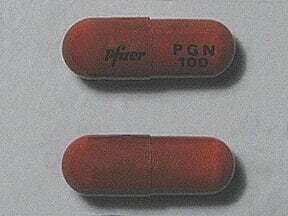 This medicine is a orange, oblong, capsule imprinted with "Pfizer" and "PGN 100". 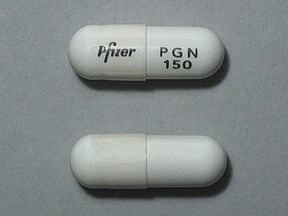 This medicine is a white, oblong, capsule imprinted with "Pfizer" and "PGN 150". 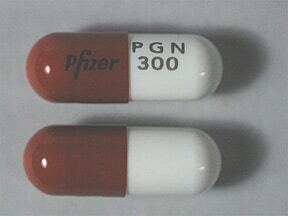 This medicine is a light orange, oblong, capsule imprinted with "Pfizer" and "PGN 200". 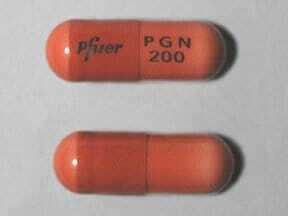 This medicine is a orange white, oblong, capsule imprinted with "Pfizer" and "PGN 300". 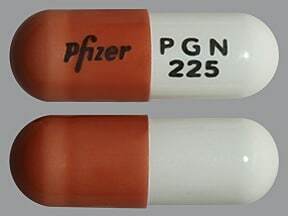 This medicine is a light orange white, oblong, capsule imprinted with "Pfizer" and "PGN 225". 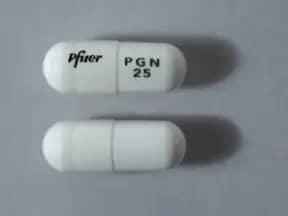 This medicine is a white, oblong, capsule imprinted with "Pfizer" and "PGN 25". 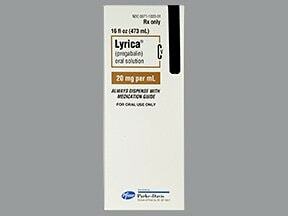 Are you considering switching to Lyrica?